U.S. Trade Representative Robert Lighthizer suggested last month that the U.S. was abandoning any notion of imposing a 25% tariff on $200 billion worth of Chinese products, signaling that a bilateral deal might be in the offing. 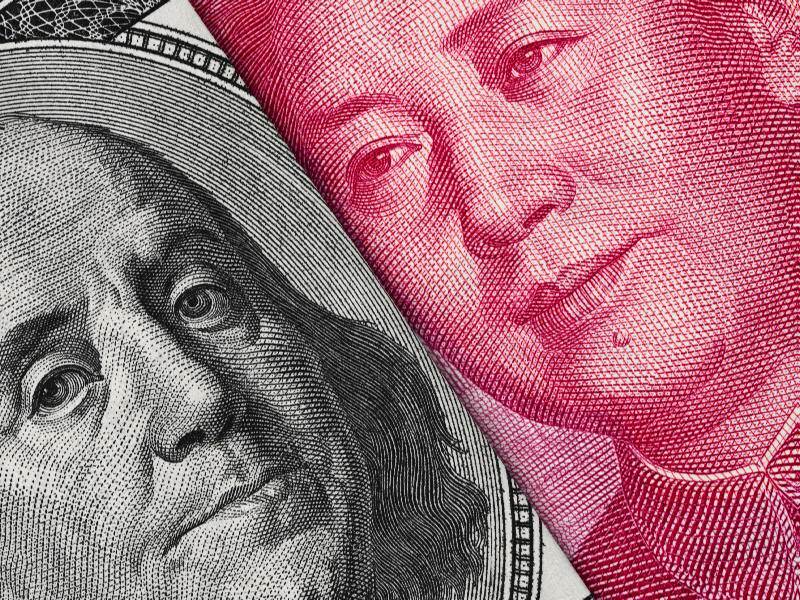 The United States and China are embroiled in a retaliatory trade war with each side imposing tariffs on the other. Recent reports, however, suggest that both countries are in the process of finalizing a comprehensive trade deal. Various unconfirmed reports spoke of Chinese President Xi Jinping clearing his schedule for a summit with President Trump at the president’s Mar-a-Lago resort in Palm Beach, Florida. Unfortunately, these reports appear to be premature because earlier this month Xi canceled his tentative plans to visit Trump there. That left many experts wondering whether any comprehensive trade deal is possible. The Trump administration wants provisions in any trade deal that would significantly reduce the trade imbalance between the two countries. If a deal is signed, China allegedly will purchase more of various U.S. commodities such as soybeans and liquefied natural gas in the spirit of cooperation. Many U.S.-China observers concede that each country needs to extract major concessions from the other if a trade deal is to be successful. China hopes for an end to the tariff war or a freeze, plus gaining market economy status with regard to U.S. trade laws. End its subsidies of various domestic and state-run industries it wants to dominate, especially its high-technology sector. End the practice of requiring U.S. companies to collaborate with Chinese domestic companies and then hand over their intellectual property before the U.S. firms are allowed to do business in the country. This is a clear violation of World Trade Organization (WTO) rules and the U.S. has lodged a complaint about the violation to the WTO. Remove tariffs and non-tariff barriers and end the practice of retaliation against U.S. agricultural products through tariffs, burdensome inspections and testing at Chinese ports of entry. Will the Ghost of Past Deals Resurface? Many experts are fearful the U.S. will repeat the mistakes of the Bush and Obama administrations. Both failed to take a tough stand on China. Senator Dan Sullivan (R-AK) recently convened the Senate Commerce Subcommittee on Security for the first time as chairperson. In his opening remarks, Sullivan recounted a meeting he attended in the Oval Office while on the National Security Council. Besides Sullivan, the meeting was attended by President George W. Bush, then-National Security Advisor Condoleezza Rice, and the vice premier of China. Past Republican and Democratic administrations received assurances from China that these practices would end, but Beijing has not kept any of its commitments. Will Trump succeed where both Bush and Obama failed? Bush and Obama failed to rein in China’s unfair trade practices because they were preoccupied with other issues such as North Korea and Iran’s nuclear weapons programs. Consequently, they were reluctant to punish China in the World Trade Organization because they needed Beijing’s cooperation on these issues. Can Trump Get Tough on China? Trump entered the White House with a far different agenda. He wanted to end China’s unfair trade practices, which led to an inflated trade imbalance that favored Beijing over American workers. So far, Trump has imposed high tariffs on China. He has also had the Justice Department investigate some Chinese companies, in particular the telecom giant Huawei Technologies. However, could Trump repeat the same mistakes that Bush and Obama made by failing to demand ironclad agreements that would include tough enforcement mechanisms in the event China reverted to its old ways? Alternatively, is the President ready to settle for only a stock market gain and Chinese purchases of more U.S. agricultural products? Trump already waved the March 1 deadline in preparation for that highly publicized summit with Xi, which might not happen. Trump clearly wants a deal. However, will he accept something considerably less or will he walk away as he did from North Korean leader Kim Jong-un in Hanoi in February? In a floor speech at the end of February, Senate Minority Leader Chuck Schumer (D-NY) warned the president not to settle for a weak deal with China. “But now, when you’re getting close to a victory, to relent at the eleventh hour, without achieving meaningful, enforceable, and verifiable structural reform to China’s trade policies would be an abject failure of the president’s China policies and people will shrug their shoulders and say what the heck did he begin this for if he won’t complete it,” Schumer said. Lighthizer is in a difficult position; his only advantage is predicated on the U.S. walking away and levying the tariffs as originally planned. The beneficial move for the U.S., one that Lighthizer is fully aware of, is the past practice of presidents caving to China in the hope they would change Chinese behavior. Scott Kennedy, a China expert at the Center for Strategic and International Studies, would rather have no deal than a replication of past deals where the U.S. gets something far less and China continues in its nefarious trade practices. Although some foreign policy experts believe that Trump will cave, he may surprise everyone. China needs this trade deal more than the U.S. because its economy is slowing considerably and Beijing faces a host of other challenging economic problems. The president knows this.